This board game originates from Ancient Rome; it is called “Ludus Duodecim Scriptorum” which means “Game of the Twelve Markings”. It has been found carved into numerous stones and knows many different design forms. It is very similar to Backgammon in that the two players must move their pieces from one side of the board to the other and that your piece can be thrown back to the beginning by your opponent if it is the only piece of your colour on a space. 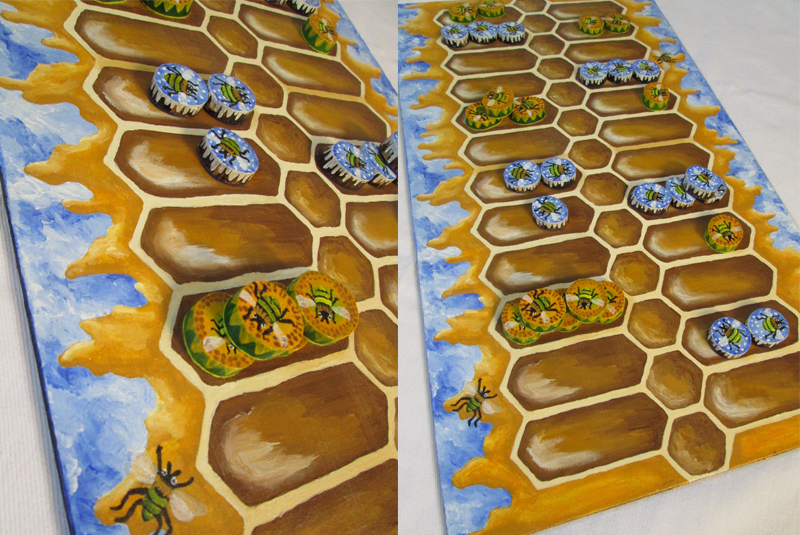 Each player has twelve pieces they have to move across the board. A harder version also exists with 15 stones each. 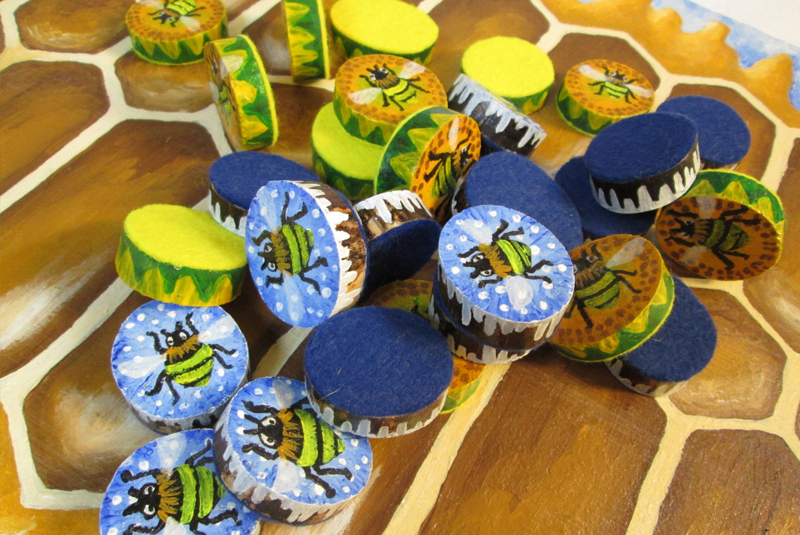 I designed this game for my boyfriend and made it in a bee theme as our nicknames for each other are winter bee and summer bee. 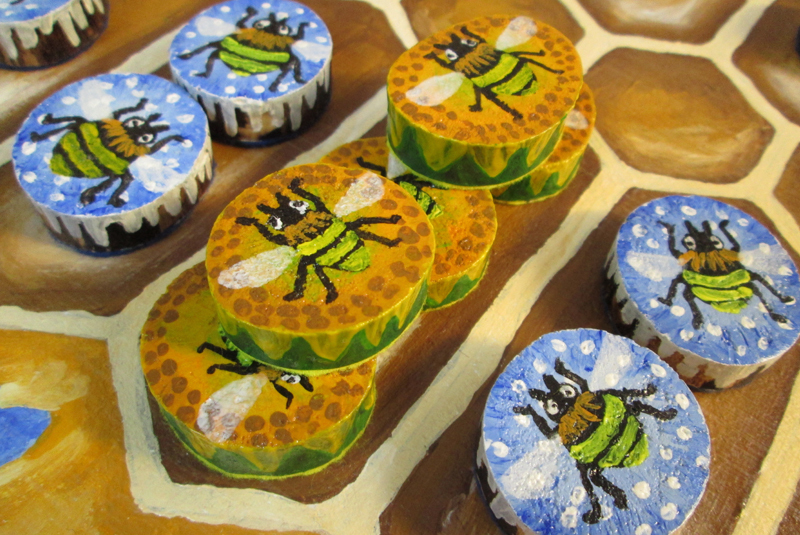 I hand painted the playing pieces to match the theme: Winter Bees (which are slightly chubbier than Summer Bees due to the extra honey they eat to survive the winter) on snowy backgrounds and Summer Bees on sunflower backgrounds. 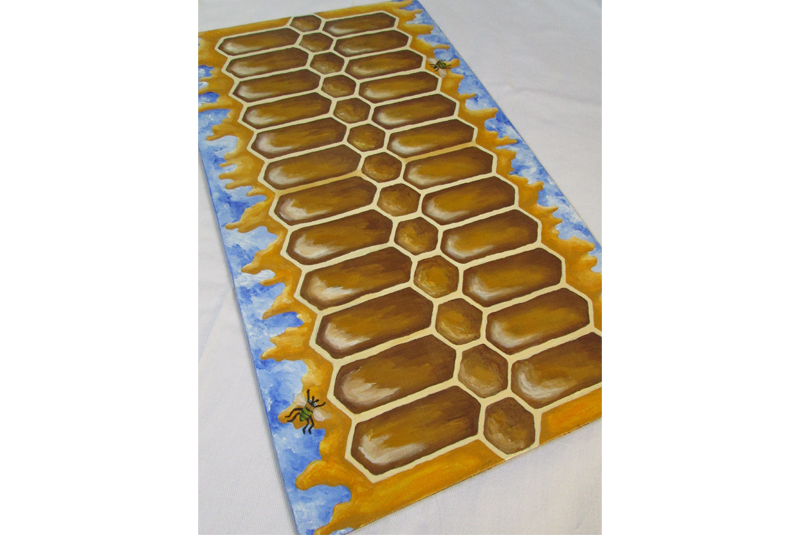 The board is painted to represent the honeycomb in a bee hive which is oozing honey. 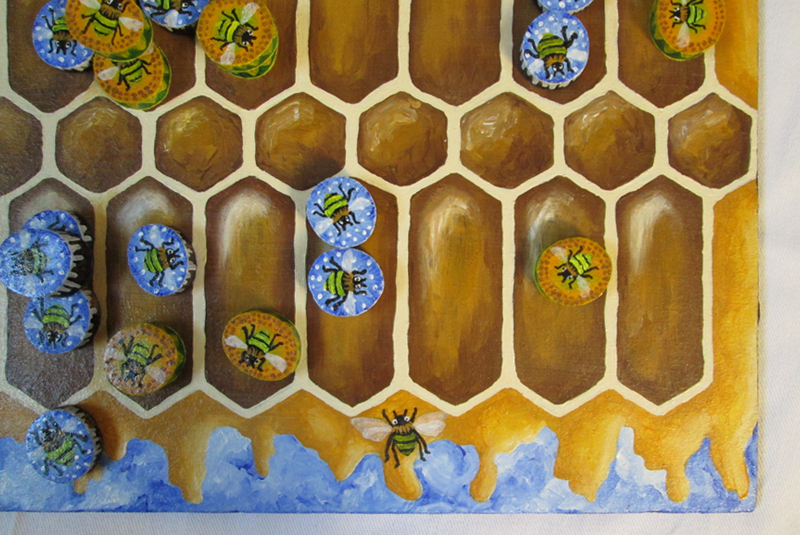 Each space on the board is painted as a hexagon of the honeycomb. The idea to make this game was inspired by the trips my boyfriend and I have made to the city of Xanten in Germany. There was a very large Roman settlement in Xanten and now it is home to a large archaeology park (LVR-Archeologisch Park Xanten) which has a museum of artefacts and many reconstructed buildings. One of the buildings has a games room where you can play all sorts of Roman games including Ludus Duodecim Scriptorum.